The benefits of taking vitamin B7—or biotin—supplements have long been linked to improved hair growth and texture. However, for most people, it's impossible to be deficient in vitamin B7, as the body absorbs and reuses sufficient amounts on a regular basis. Plus, mega-doses can sometimes mess with your blood work. That means to be on the safer side, instead of popping B7 like candy, you could simply incorporate it in your external hair care regimen, in the form of biotin shampoos and masks. For thicker, stronger hair growth + locks resistant to hair fall, split ends and hair loss. Ahead, the 12 best biotin shampoos and masks in India to order on Amazon now. 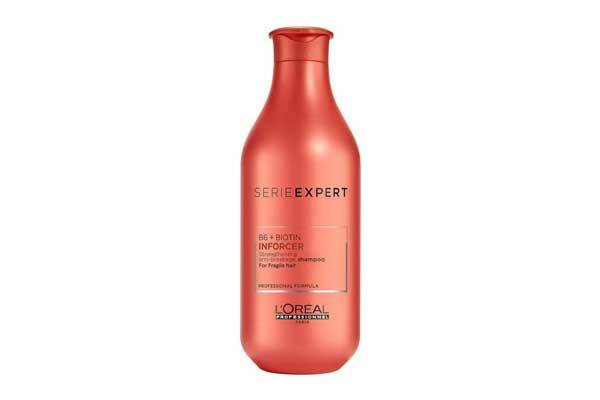 The L'Oréal Professionnel Serie Expert Inforcer Shampoo is formulated for fortifying fragile hair. 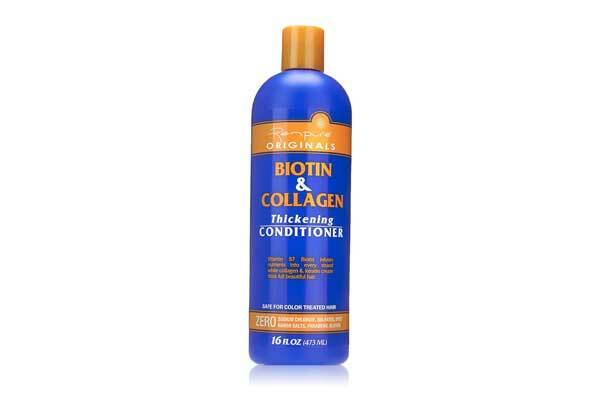 If you're battling breakage and split ends, this is, hands down, one of the best biotin shampoos to invest in. 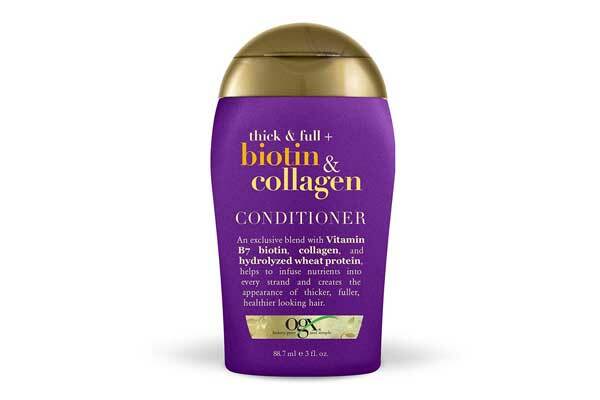 With continued use, its blend of Biotin + vitamin B6 will strengthen your hair. The StBotanica Biotin & Collagen Volumizing Hair Shampoo contains biotin, collagen, oat extract, lavender oil, sunflower seed oil, jojoba, avocado, and rosemary oil. Free from harmful chemicals like parabens and sulfates, this shampoo will strengthen and volumize any hair type, especially fine, fragile hair. 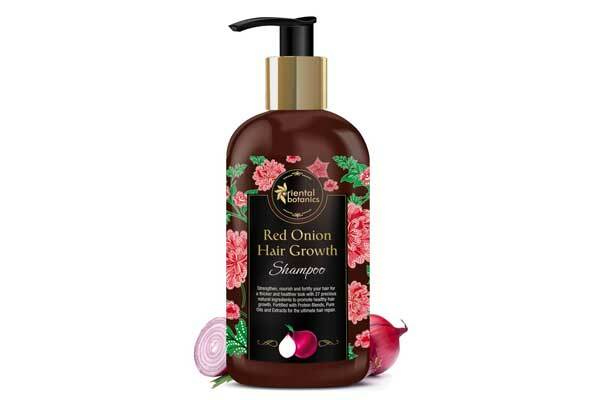 The Oriental Botanics Red Onion Hair Growth Shampoo will thicken and fortify your hair with a blend of -- wait for it -- 27 natural ingredients, in combination with collagen + biotin. Some of these include Coffee Extract, Curry Leaf, Onion Oil, Green Tea, Olive Oil, Jojoba Oil and Brahmi. 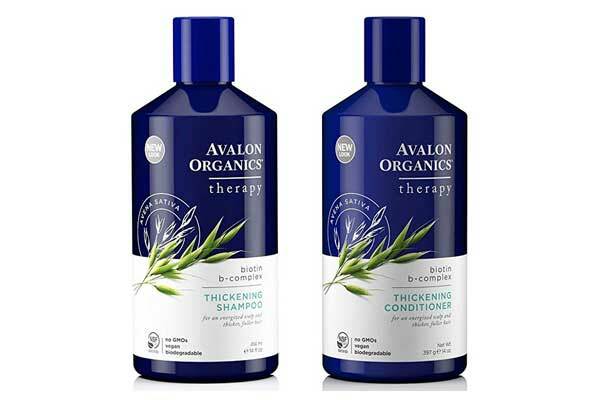 The Avalon Organics All Natural Biotin B-Complex Therapy Thickening Shampoo contains Aloe, Lavender and Peppermint, in addition to Vitamin C and thickening CoQ10 with Biotin B-Complex Vitamins, making this perfect for thinning, fragile hair. Use it with the conditioner for extra-soft strands. 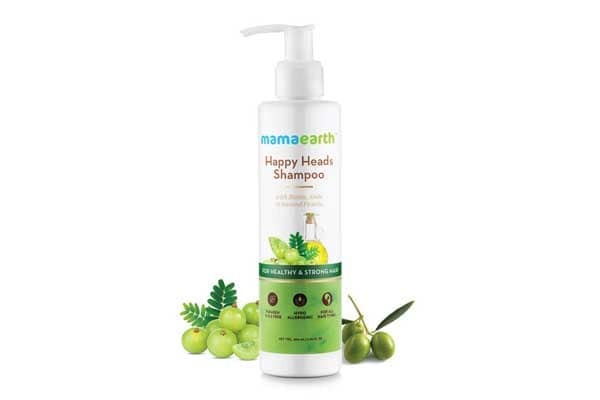 The Mamaearth Happy Heads Natural Protein Hair Shampoo repairs and strengthens your hair with vitamin B5, biotin, and a blend of herbal ingredients like antioxidant-rich amla and bhringraj, along with horse chestnut. The formula is free from SLS, Sulfates, Paraben, Phthalate, Synthetic Color and Artificial Fragrance. 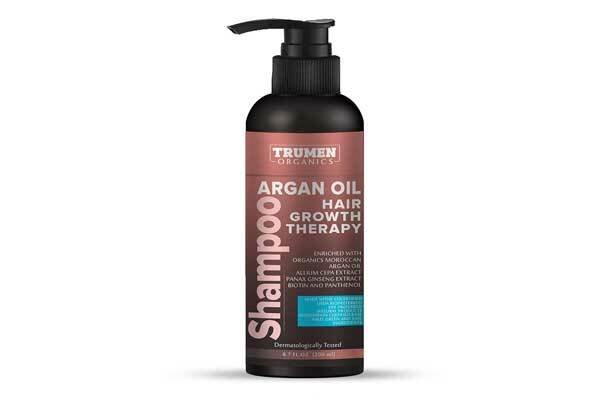 Free from sulfates and parabens, the TruMen Shampoo, in addition to biotin, contains Argan Oil, Allium Cepa Extract, Panax Ginseng Extract, avocado, and rosemary oil. Ideal for improving strength, shine, thickness and volume. Reduces hair fall, breakage and dullness. Our verdict? The brittle-haired should grab this. 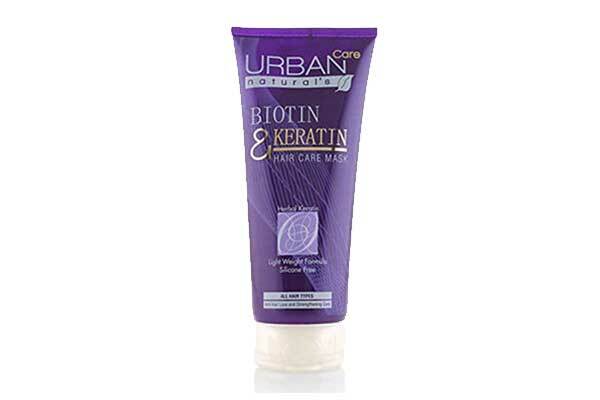 The Urban Care Biotin And Keratin Hair Care Mask contains biotin AND keratin -- one infuses your hair with nutrients, making it more resilient from within, while the other, keratin, mimics the very protein your hair is made of to boost its strength. All hair types can use this post-shampooing for an instant makeover. 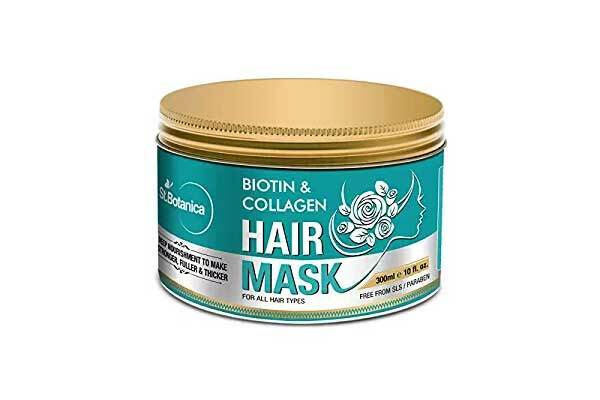 The StBotanica Biotin & Collagen Strengthening Hair Mask contains biotin, vitamin E, lactic acid and pro-vitamin B5, blended with argan oil, avocado oil, peppermint oil, shea butter and oats extract. Free from sulfates, parabens. Use it post-shower as a conditioning treatment. Ideal for all hair types. 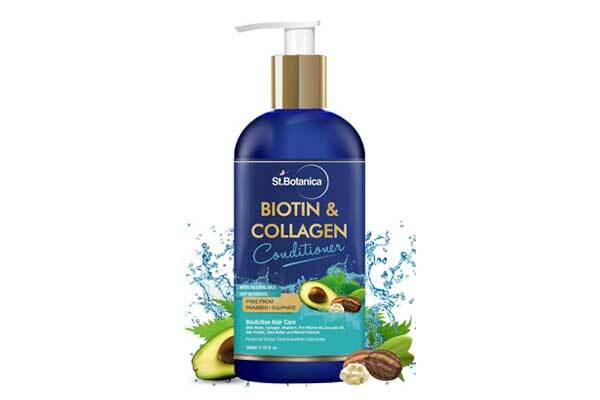 The StBotanica Biotin & Collagen Strengthening Hair Conditioner contains biotin in combination with hydrolyzed collagen. Silk Protein, Avocado Oil, Vitamin E and Pro-Vitamin B5 add further nourishment, softening and adding shine to every strand. This formula is also free from harmful chemicals. 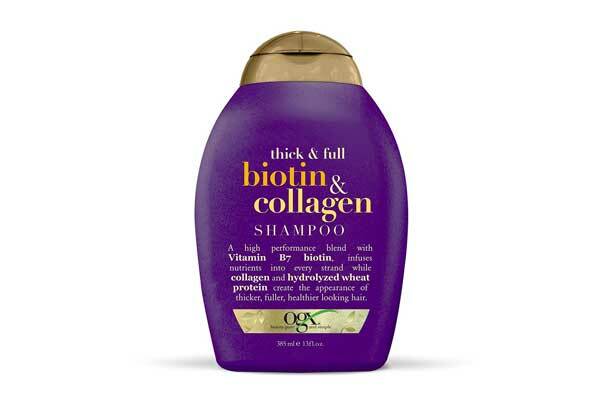 The OGX Trial Size Thick & Full + Biotin & Collagen Conditioner is best used as an after-treatment post the OGX Bioton & Collagen Shampoo listed above. Like its shampoo counterpart, it contains b7 biotin in combination with collagen and hydrolyzed wheat protein that together fortify your hair. The Renpure Biotin and Collagen Conditioner is enriched with both biotin + keratin. The combination of vitamin + protein makes your strands stronger, thicker and more resistant to hair fall and breakage. Use it as a softening / volumizing treatment after you're done shampooing. Free from harmful chemicals. That was the 12 best biotin shampoos and masks in India. Have you taken biotin supplements or used biotin-infused hair products before? Give us a shoutout on our Twitter handle @HotDeals360 to talk to us. And keep watching this space for more recs!